Katie Holmes woreMichael Kors Pre-Fall 2014 sheer ruffled one shoulder blouse and trousers to the world premiere of ‘Life is Amazing’ held at the SVA Theater in NYC. 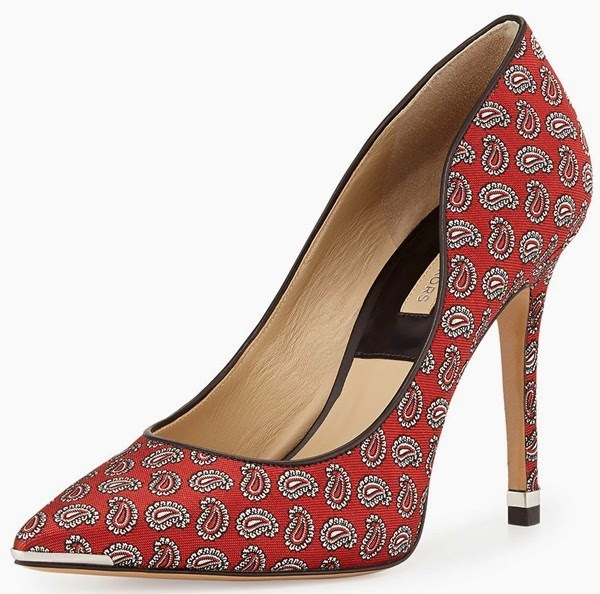 She added a Michael Kors Avra Paisley Printed Pointed-Toe Pumps which is available at Neimanmarcus & Michaelkors and plain black at Nordstrom. Nice shoes. The design of the print reminds me of a scarf that had that print.